Pleasantly surprised with the stylish lights which complimented our bach :) looks awesome and the light is perfect for the bach. Lovely looking lamp, just doesn't stand straight which us very annoying. 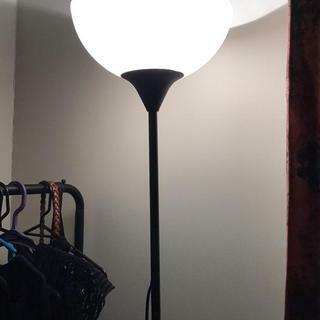 Bought this lamp as I particularly wanted a 60W lamp. Website says 60W, box says 60W, shade says 60W, label on the plug end of the cord says 40W.... it is going back tomorrow. stylish lamp looks fantastic in my lounge and quick / easy to assemble. the light shade doesnt sit straight on pole and did not come with anything to secure it and there is so way to get it to stay! very disappointed!!!!! love this lamp. its easy to put together the base is quite heavy so it sturdy too i thought the top piece was glass but its plastic looks amazing though! !